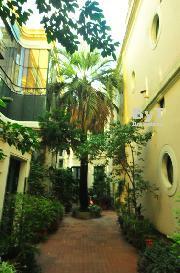 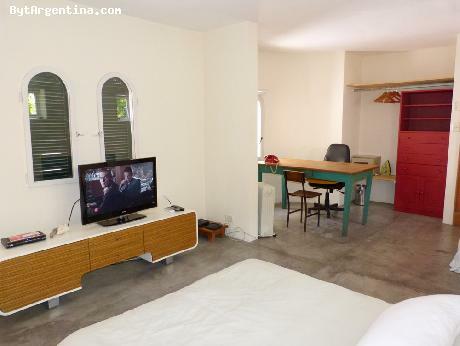 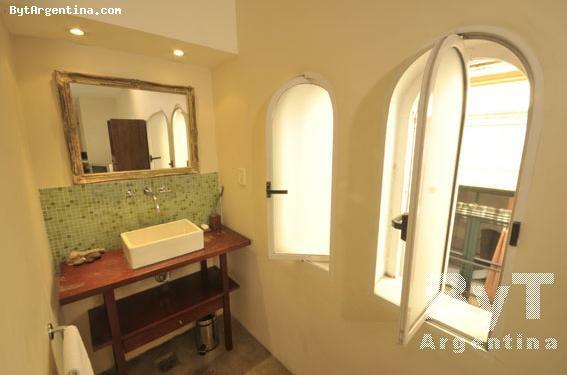 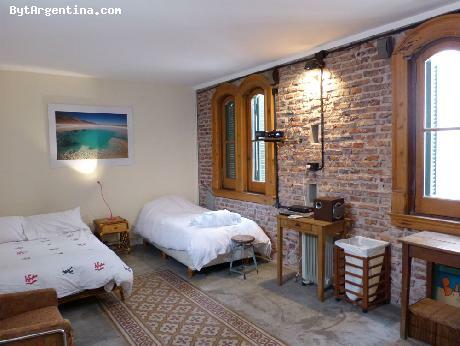 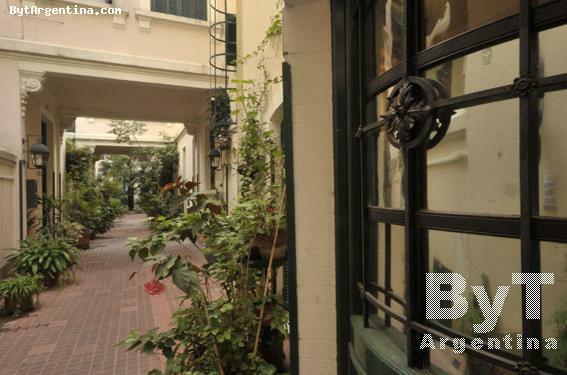 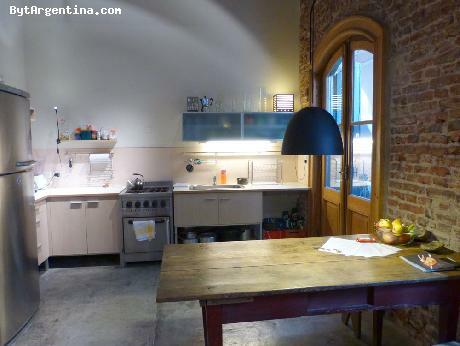 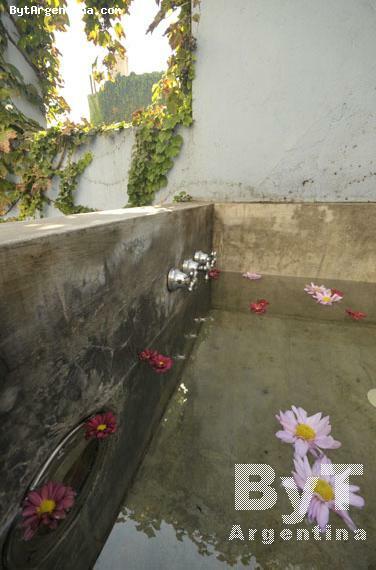 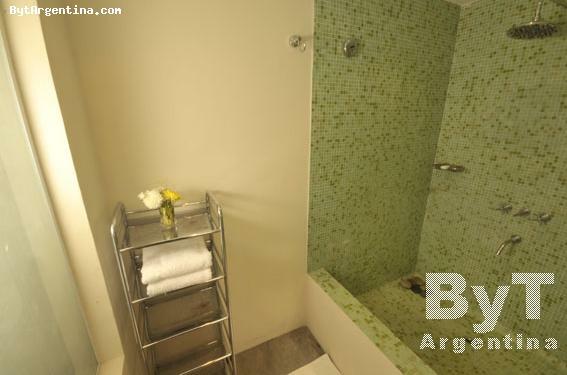 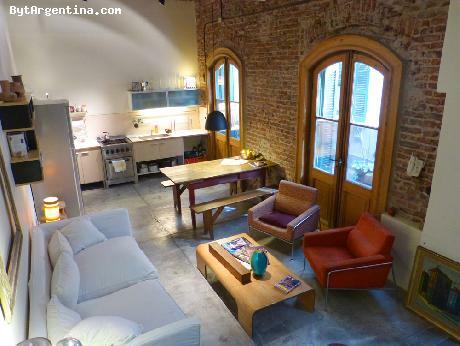 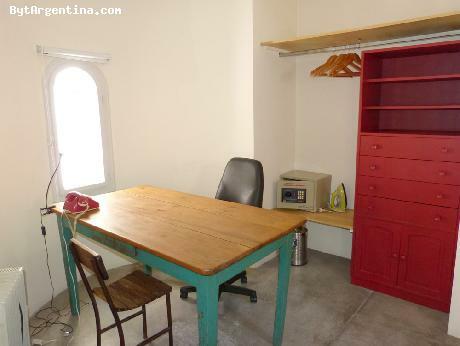 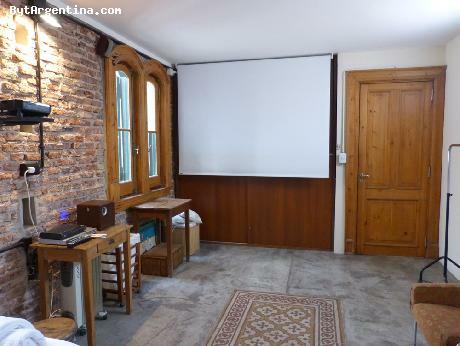 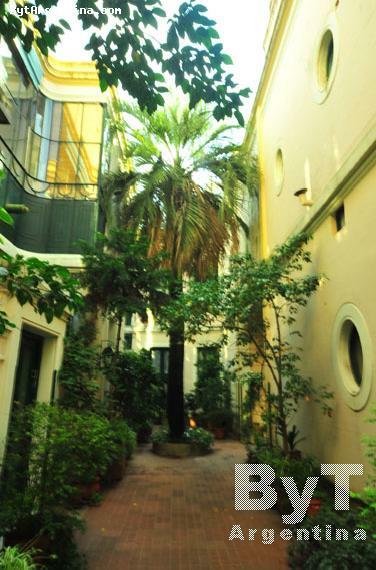 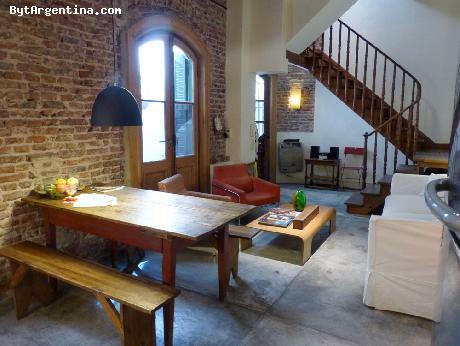 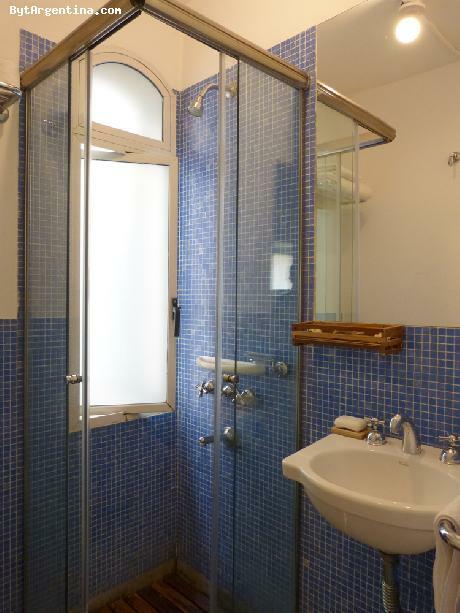 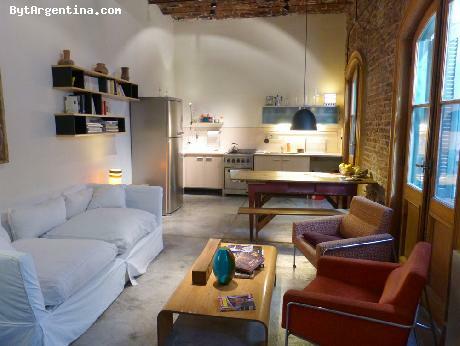 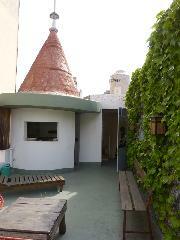 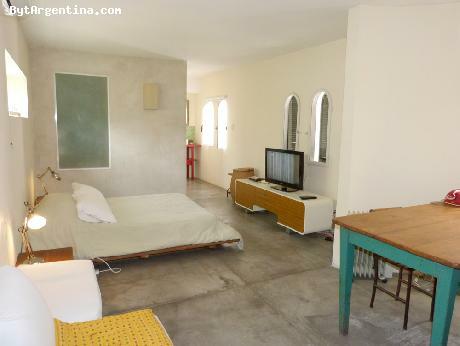 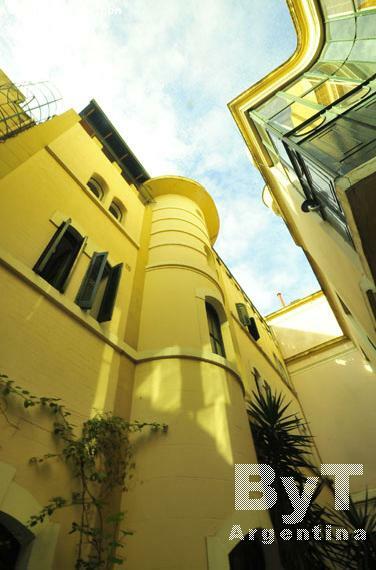 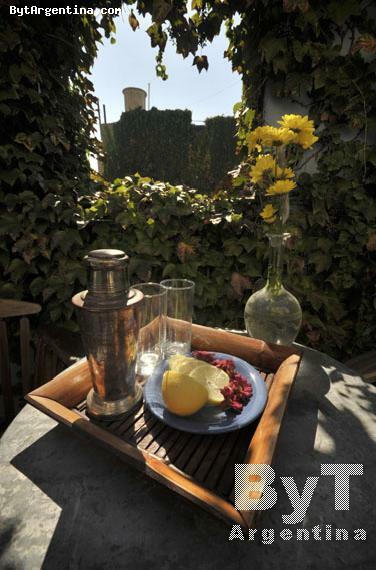 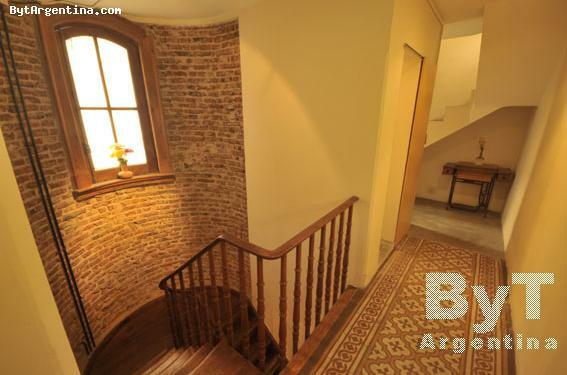 This cute, sunny house is split off in three levels and located in San Telmo. 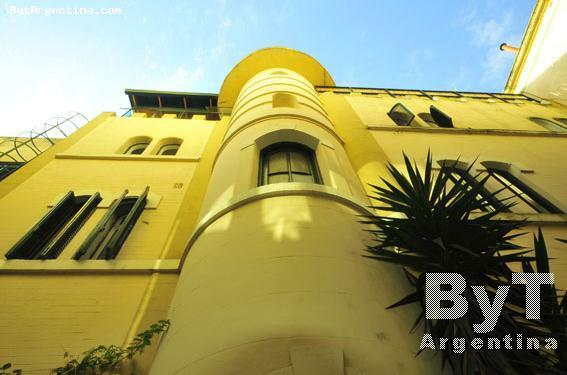 The neighbourhood is known for attracting writers, painters, actors, journalists, film-makers and intellectuals. 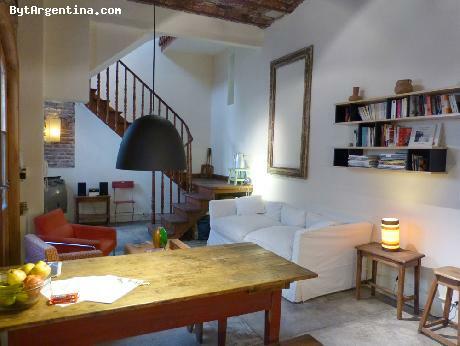 Ground floor: Living dining room with a fully equipped kitchen connected to the dining area. 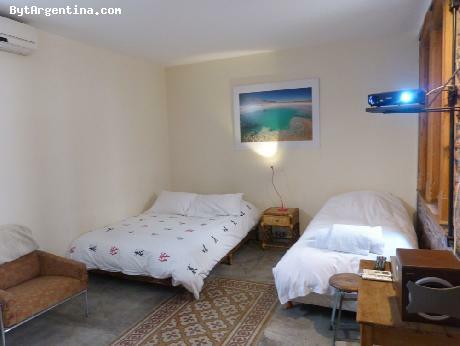 First level: One bedroom with a queen size bed and a nice bathroom. 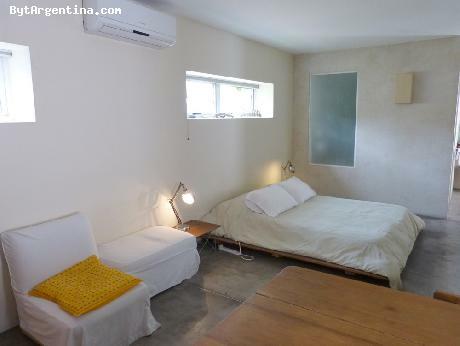 Second level: Main bedroom with a queen size bed, desk area and one full bathroom. 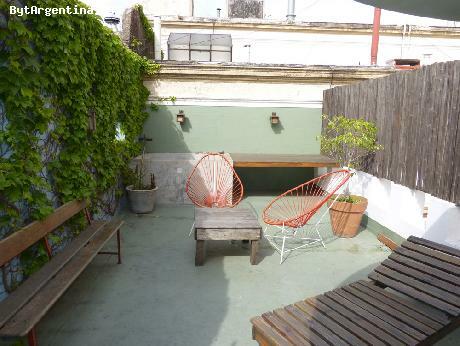 Third level: A breakfast room, a terrace with small pool and solarium. 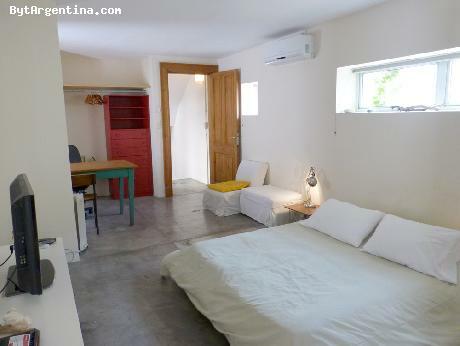 The apartment is equipped with Wi-Fi internet access, cable TV, air conditioning in both bedrooms, stereo, refrigerator with freezer, microwave, dishes, kitchenware, linens and towels.